As a family physician and orthodontist in Helotes, TX, we understand the importance of minimizing your out of pocket expenses for medical care. 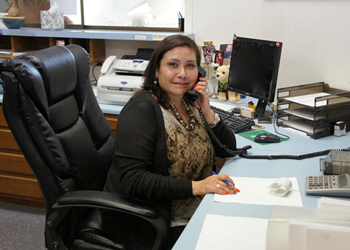 The staff at Henwood Family Medicine & Dentistry is happy to help you with your medical and dental insurance. We can help you receive the maximum benefits. Please bring your benefits booklet and an insurance form to the office so we can better answer your specific questions. If you have insurance, we ask that you pay your deductible plus any copayment due at the time of your treatment. Please remember that no insurance company attempts to cover all costs. It usually takes three to six weeks for insurance benefits to be paid. If after sixty days the insurance company has not paid, we ask you to pay the balance of your account. We will continue to seek a settlement from your insurance company for a reasonable period of time. Please remember the service provided amounts to an agreement between the patient and the office. The insurance relationship constitutes an agreement between the carrier and the patient, not the carrier and the office. We accept all major credit cards. For dentistry, we also accept Care Credit™. Payment options can be discussed upon the first visit. Contact us to learn more about getting the maximum benefits from your medical and dental insurance when visiting our dentist and physician in Helotes, TX.